Petrobras is one of Geovariances oldest partners, the relationship between both companies having started in 1997 with the purchase of several Isatis 3.0 licenses. Today, 60 licenses of Isatis are shared between a hundred Petrobras users over Brazil. “Most of the people who use Isatis in Petrobras are geologists and geophysicists working for production development. We use Isatis in many phases of our reservoir characterization process, from exploratory data analysis to time-to-depth conversion and facies or petrophysical modeling to the simulation of many realizations of permeability for uncertainty analysis. In 2000 (when there were few 3D modeling software packages), an important Isatis application was the modeling of horizons with pinch-out of superimposed thin bodies, faulted surfaces and erosive channels – which was a real challenge at that time! Today, we use Isatis to build high quality NTG maps based on seismic, time-to-depth conversion and image filtering. More recently, Isatis has been used to incorporate 4D seismic into the geological model. 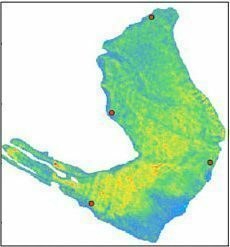 Isatis is an extraordinary educational tool to teach geostatistics with since it gathers most of the techniques, from the simplest to the most advanced ones, in one single comprehensive package and allows a full control of all the involved parameters. More than 100 Petrobras geoscientists and reservoir engineers have been trained with ISATIS during short courses over the last 4 years. 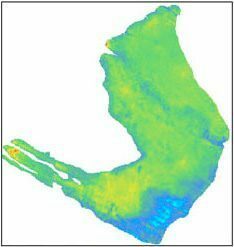 We classify Isatis as unique since it contains all the latest geostatistical algorithms that are being developed. Furthermore, we are really satisfied with the very close relationship Geovariances offers us; it allows our requests to be fast implemented in ISATIS. … not only through their reactivity but also through their training sessions.